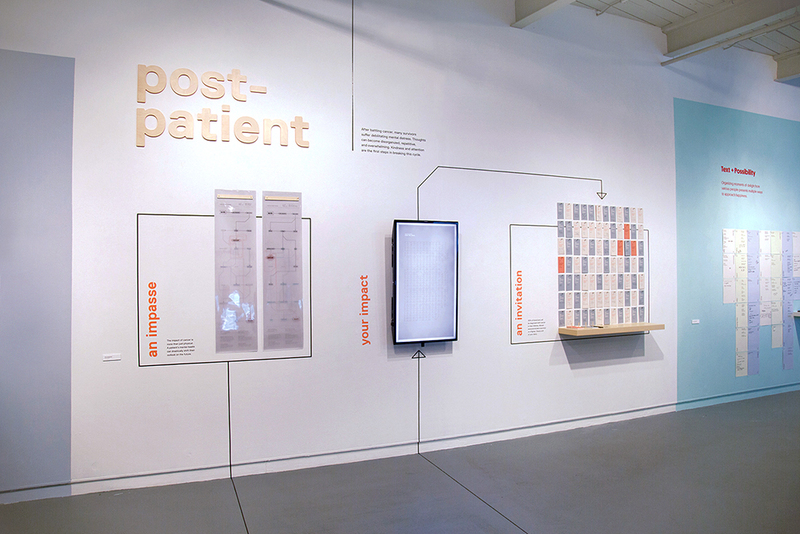 Post-patient is an exploration in visualizing the thoughts of cancer patients after treatment. While it is understood that cancer has a major physical impact, this project encourages understanding of the mental health toll as well. The exhibition is divided into three interactive areas. Two timelines were created based on data from an online survey of cancer survivors and fighters. The timelines outline major achievements in a patient’s life before their diagnosis, and show how that patient may envision their future. These imagined future paths are shown through the lens of multiple mental states, highlighting the contrast of possible reactions. 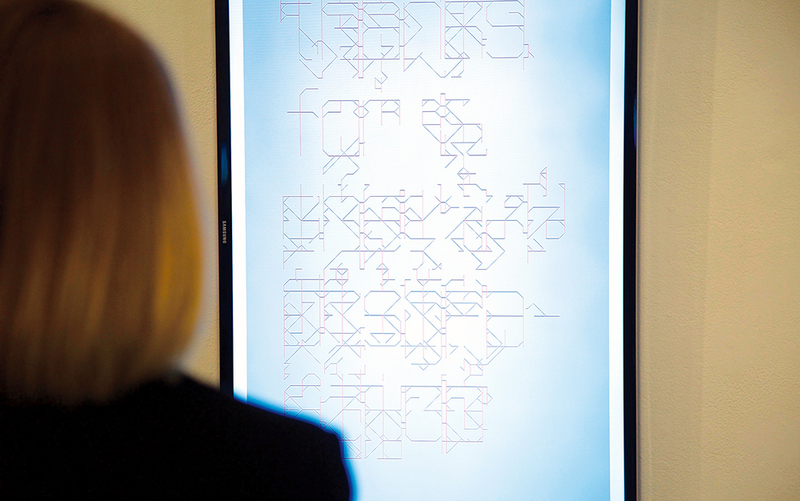 This interactive poster was created in Processing, and reacted to the proximity of viewers by using an ultrasonic sensor and an arduino. The poster’s messages are only clear when you are close. The core message is set in a custom typeface which is made from the same angles used in the patient timelines. The grid obscuring this message is formed when all characters from the alphabet are overlaid on one another. Because the movement is created with code, there are an infinite number of directions for the animations. Viewers were invited to participate by sharing their connection to cancer. Over the two-week exhibition, more than 120 cancer fighters were honored. Just a handful of the messages left at the exhibition.